Apples do not last long in our household. When I bring home a bag of apples from the store, all it takes is for every person in our family to eat one apple for a snack and the bag is nearly empty. So you can imagine the excitement I felt when a couple at our church invited us over to pick apples from the small orchard in their backyard. 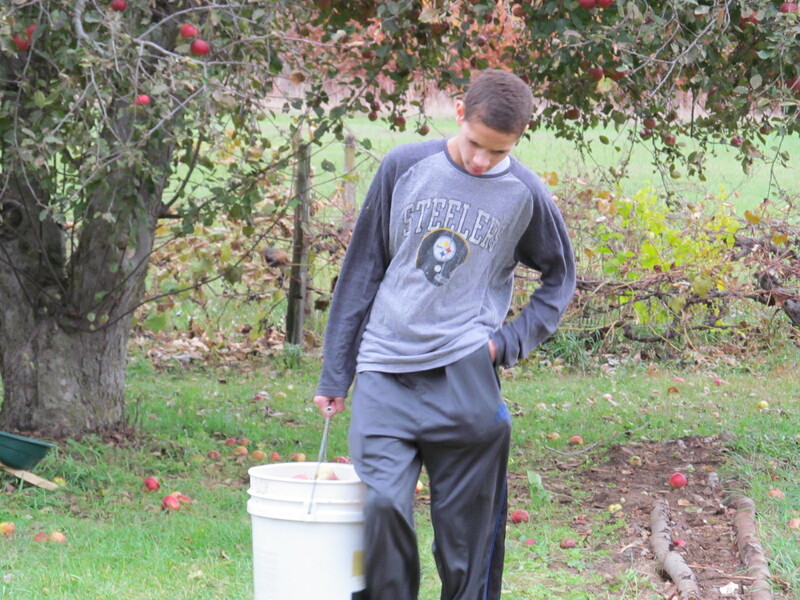 “Would your family be interested in picking apples?” they asked my husband. Would we be interested? We were at their house at the first possible moment! Arriving with plastic bags and buckets, our family was overjoyed when we saw the trees out back of the house. There were five different trees – each sporting a unique type of apple. Quickly, our boys surveyed the trees before them and then ran off to pick the apples we would take home. Tiny apples, shiny apples, green apples, red apples . . . it was an amazingly sweet selection. There is an amazingly sweet selection in the Word of God as well. From history to prophecy to poetry, the Bible contains the words that bring life and meaning for everyone who reads. God’s words are sweeter than honey . . . sweeter than chocolate . . . sweeter than apples in an orchard. 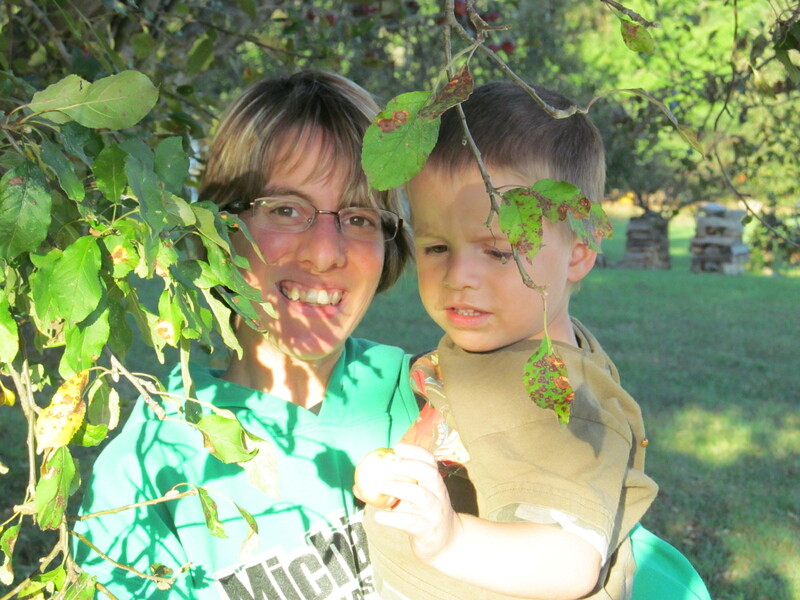 Looking toward the sound of the voice, I discovered my youngest standing below a tree, the apples hanging from the branches above him, well out of the reach of his little hands. While the Word of God is sweet and nourishing to our soul, sometimes it is difficult for us to understand on our own. Discouraged, we stand below the branch, looking up at what appears to be out of our reach. As we observe those around us, we see others easily reaching the apples – it feels like we are the only ones who are struggling and we feel left out. Comparing ourselves to others, we feel like there must be something wrong with our relationship with the Lord, that we must not be ‘spiritual enough’. Secretly we fear that we will never reach the apples, that we will never taste of the sweet fruit of His Word. Reaching out to take the youngest in my arms, I lifted him up until he could reach the apples on his own and helped him as he carefully plucked them off the branch. Triumphantly, he placed each of the apples he had picked into his basket, grinning from ear to ear at the sweet treats he had snatched for himself. And then the Spirit comes along beside us and helps us understand and apply the Word of God to our lives. Holding us by the hand, He leads us through passages that used to confuse us and explains their meanings. Lifting us in His arms, he surrounds us with words that we used to overlook, encouraging us to feast on the sweet treats and challenging us to allow the Words to provide us the nourishment we need to grow and change into the people He wants us to become. And sometimes He provides help through another human being. Much of the remainder of my time at the orchard was spent helping my youngest children pick the apples that were out of their reach. Holding them tightly, I would stand by silently as they rejoiced in the fact that they could now reach the apples and pick of the trees themselves. Sometimes God provides teachers, pastors, leaders, and friends to come along beside us and help us understand the Words of God. These people minister to us and reveal truths in Scripture that we may not have noticed before. And then a funny thing happens. After awhile, our bucket is full and we are able to reach out and share the sweet Words of God with someone else. It did not take long for us to fill all the bags and buckets we had brought with us. Borrowing a couple buckets from our friends, we filled those as well and then prepared to go home. Slowly, we carried all the bags and buckets and put them in the back of our van. When we arrived back home, we transferred the apples from our van to our porch and then we simply enjoyed the apples. For months we had homemade apple pies, applesauce, and caramel apples . . . we had apples whenever we wanted them. Sweet, juicy apples. It was wonderful. We had so many apples that we bagged several up and gave them away to our friends. When we discover the sweetness of the Word of God, we cannot help but share that with others! His Words overflow out of our hearts and into our every day conversations so that our conversations become sweet as well. The Words of God become so much a part of our lives that they are evident in every interaction we have, whether face to face or through social media. Everyone who comes in contact with us can tell that we have been in contact with the sweetness of God. We have an abundance of His sweetness and we can’t help but share! Our apples lasted us through most of the fall. In fact, we had so many apples that I began to take them for granted. Knowing that I could simply grab an apple from our supply if I needed one, I planned menus that called for apples and didn’t even bother to check if I had enough apples left to make the recipe. And then one day I ran out of apples. You see, if you never return to the orchard, the apples will eventually run out. The same danger is present with the Word of God. Maybe we have struggled with understanding God’s Word, we have asked for help, the Spirit has come along beside us, we have discovered the sweetness of His words, we have shared that sweetness with others . . . But, somewhere in the process, we have quit going to the orchard. We have depended solely on another person’s teachings, we have tricked ourselves into believing that we are an expert, we have taken the Word of God for granted and then, one day, we go to get an apple . . .
and the apples are gone. 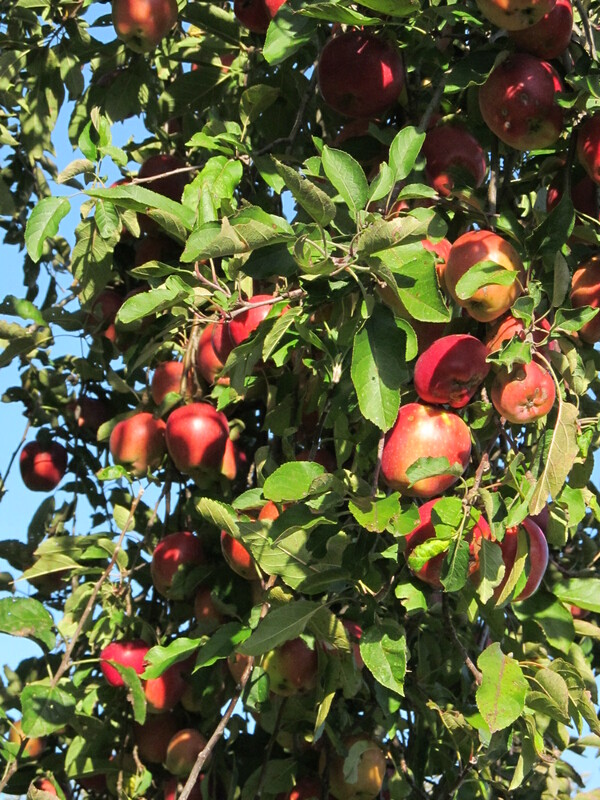 The only way to be sure that we never run out of apples is to take a daily trip to the orchard. Have you been to the orchard today? This article is similar to one of the devotions that will be appearing in my new book, “Banana Bread & Mismatched Socks: 100 Devotional Thoughts From My Every Day Life” coming soon . . . . Check out http://creativekkids.com/thoughtful-thursdays-4/ for more thoughtful posts! Right now we are doing a series titled “Dry” at my church. It’s teaching us to be in the word before we reach the desert. Thanks for your comment — it is so cool how this fits in perfectly with the series at your church. We serve an awesome God! Amazing! Such insight and so challenging. I loved reading this and even more, I loved how the Lord spoke to me through it. Thank you. 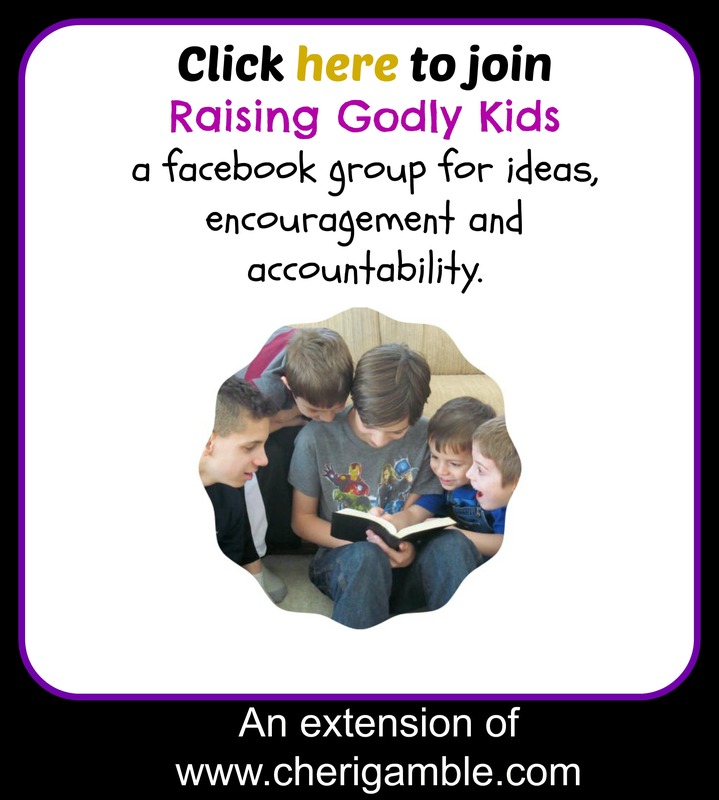 I will be sharing this on my blogs facebook page in the morning! There is nothing more encouraging to me than to hear that God is using the words I write to touch others. Thank you so much for sharing! !